Well developed modular design, very believable scheme. 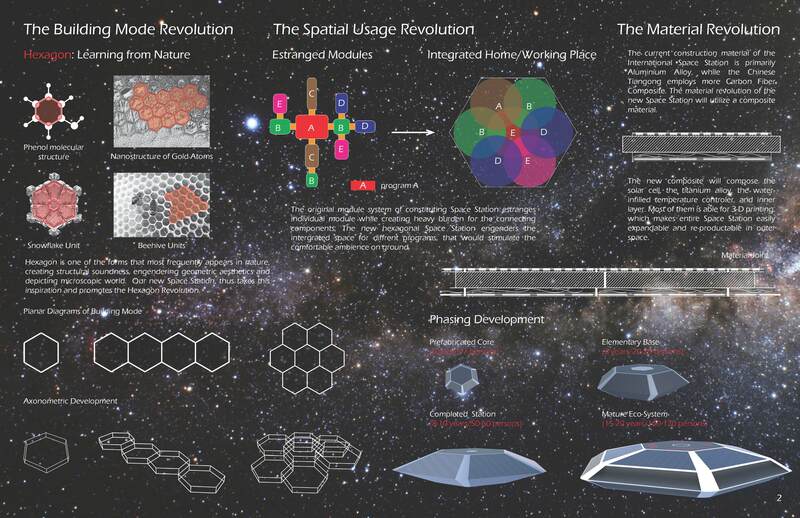 We would question whether the proposal would have been more impressive as a series of repetitive hexagons rather than a single hexagon that housed modular elements. 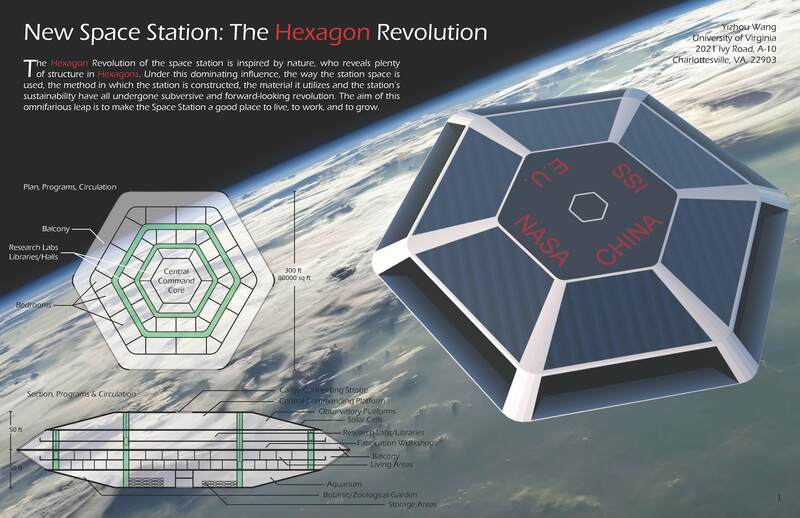 This entry was posted on September 21, 2013 at 2:57 pm and is filed under Architecture Competition, Space Station Architecture Competition. You can follow any responses to this entry through the RSS 2.0 feed. You can leave a response, or trackback from your own site.